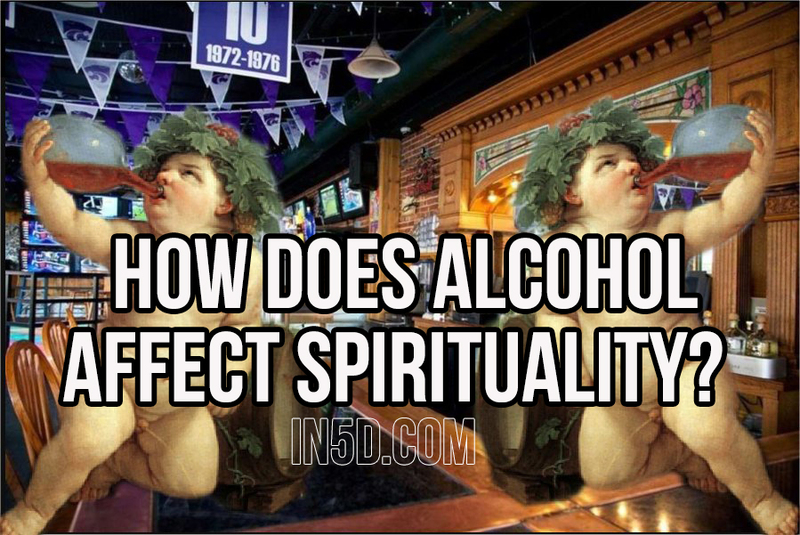 How Does Alcohol Affect Spirituality? Alcohol has appropriately been names “spirits” since its introduction into the human society experiment. It can be used as a high but also has an after affect of bringing a person into a very low place. As we continue to raise our vibration, we may find that alcohol does more harm than good, and that our body begins to reject it more and more. While walking our dog this morning, I noticed that about every other recycle bin contained empty bottles from beer, hard liquor, and wine, as well as crushed alcohol cardboard and empty beer cans. I began to ponder on this, and came to the conclusion that in my external environment, fifty percent of all households on our neighborhood were partaking in spirits. I didn’t know whether to see it as the glass being half empty or full. At least there was the half that didn’t have alcohol evidence in their trash, or perhaps they just weren’t recycling! I have used alcohol in the past as a crutch, and I’m sure that almost everyone at one point in their life has tried it. There are a few times that alcohol has allowed me to pull myself out of a funk and all of my cares slipped right out of my body. Alcohol has allowed me to cry many times, releasing deep seated pains when my heart was previously too closed to heal. Almost every incident that I regret doing in life involved alcohol in some form. Because my father was an alcoholic, I had access to it at a young age. Looking back I can see how clouded my judgment and intuition was while drinking. Intuition goes right out the door along with inhibition while drinking. Television programming promotes alcohol being cool and socially acceptable. Alcohol breaks down barriers for people to relax and have a good time. However in the end, a pattern begins to form of extreme highs and lows and a vicious cycle can form of wanting alcohol in order to stay high. The bottom line is that alcohol ruins lives and lowers ones’ vibrations. Someone must be the forerunner to change the world, and we must do it from within. Reprogramming society to make it cool to be sober and grounded in your body is a start. Be the change you want to see and watch your reality around you shift. Alcohol has been a crutch for millions if not billions of people. The crutches are breaking as the body is telling us what it does not want, forcing us to face the issue within us that requires the crutch.